It's like she is a whole different person! 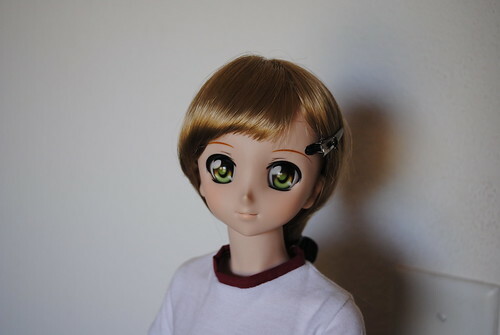 I finally bit the bullet and went and changed Nanoha's eyes. As you can see, you can clearly see the color of her eyes with no problem. A new shade of green. 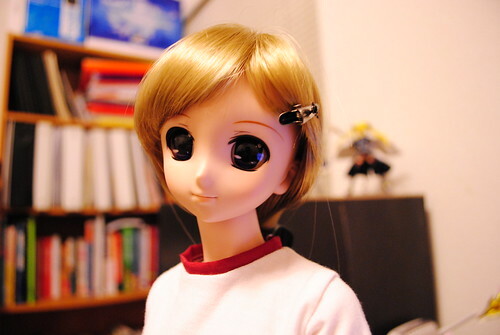 I really like my Nanoha dollfie. 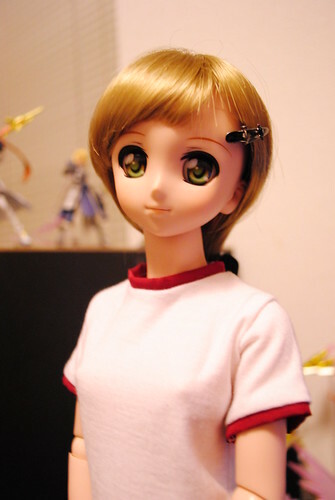 I seen many dollfies before I bought her and after the fact, while I liked some such as Nia or Yui they never sparked a desire to obtain them such as Nanoha. I like everything about her except one thing, one thing you can easily see in the picture above. 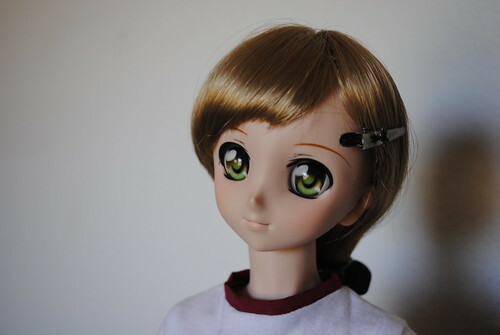 Actually it's one thing you can't see, the color of Nanoha's eyes. As you can see, her eyes are clearly visible during the day even if sunlight is not hitting them directly. During the night when I have the most trouble showing their color, now they are quite visible. 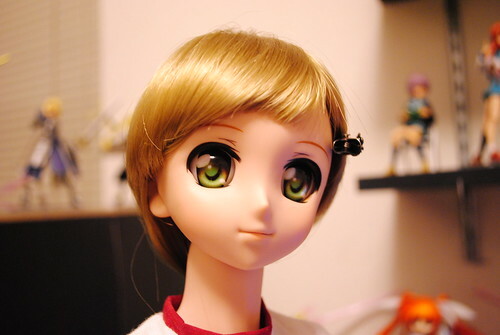 In case you are wondering the eyes are Volks animetic eyes type F Wakaba. Now that I can take pictures anytime with any lighting I have the urge to do so. Even more when I think there is some clothes I got Nanoha I haven't properly shown yet, such as this gym class set she is wearing in these pictures.